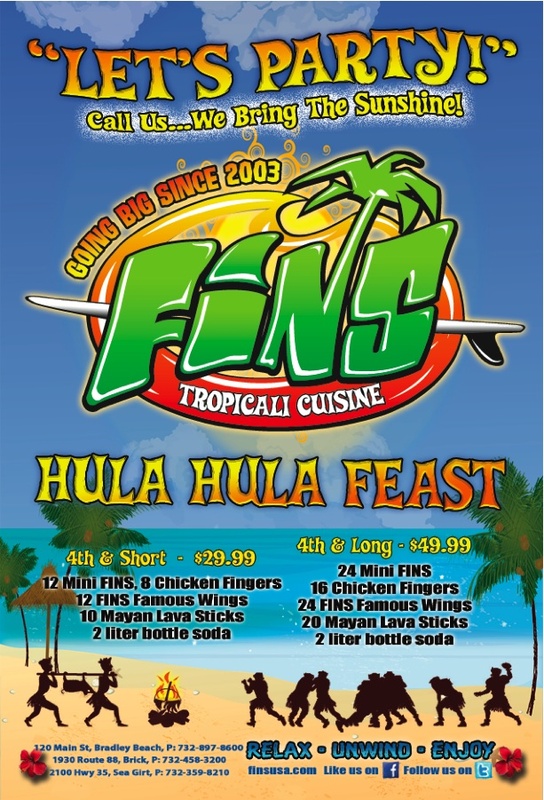 Serve up some FINS for your Super Bowl Party & be the MVP!!! Make sure you pick up some extra Bleu cheese dressing to dip the 1.23 billion chicken wings fans will be eating on Sunday. That actually adds up to more than 100 million pounds of chicken wings. Not just the pizza delivery guys will be ringing doorbells. Turns out that roughly 48 million Americans will order takeout or delivery food from a restaurant instead of cooking up grub at home. All that food needs to be washed down with something. Will you be picking up one of the 51.7 million cases of beer sold to quench Super Bowl fans? It’s not just potatoes that get the chip love. Tortilla chips also get some respect at the Super Bowl snack table with 8.2 million pounds of them consumed by fans. What goes well with chips? Guacamole! That would explain the 8 million pounds of avocados football fans will be mashing up to dip their chips in. No matter how much we eat, it’s going to be quite a feast. In fact, the Super Bowl is the second highest day of food consumption in the United States after Thanksgiving. Check out our full Catering Menu online! Look out for our Social Media Give always!!! FINS is now on Instagram. You can follow us @FINSUSA.